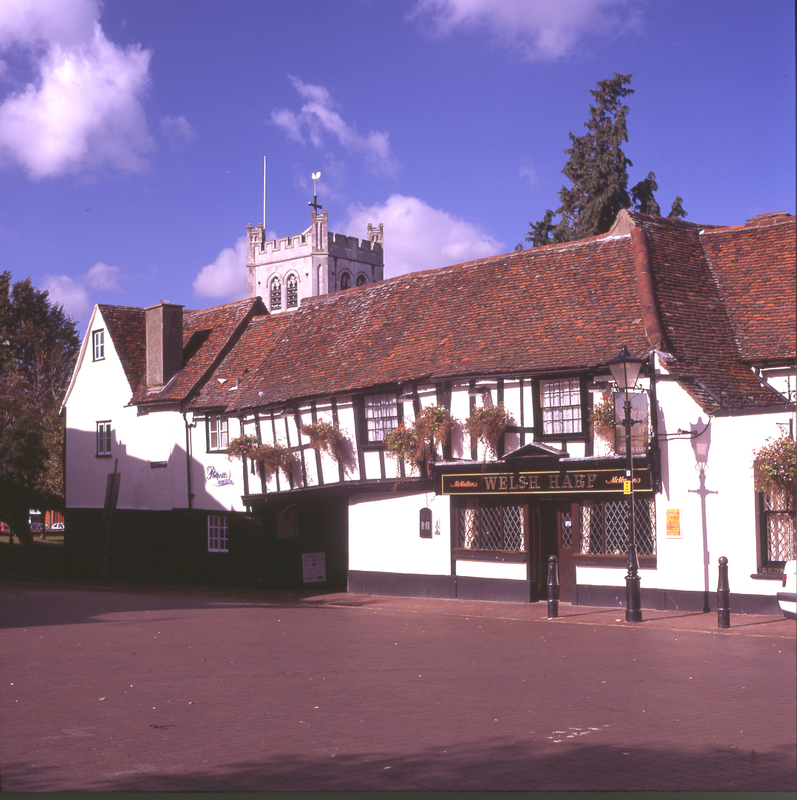 Waltham Abbey, in Essex, grew into a Saxon settlement on well-drained gravel close to the River Lee. The first church on the site dated from about 700. It rose to fame because of the Abbey. According to legend, Tovi the Proud, standard bearer to King Cnut, accompanied a cross that travelled under its own direction from Somerset to its destination, the church at Waltham. Tovi installed the cross here. The cross was soon a magnate for pilgrims and people seeking healing. Harold Godwinson, future and last Saxon King of England, visited the church and prayed in front of the cross. Miraculously, he recovered from paralysis, and paid for the church’s rebuilding. 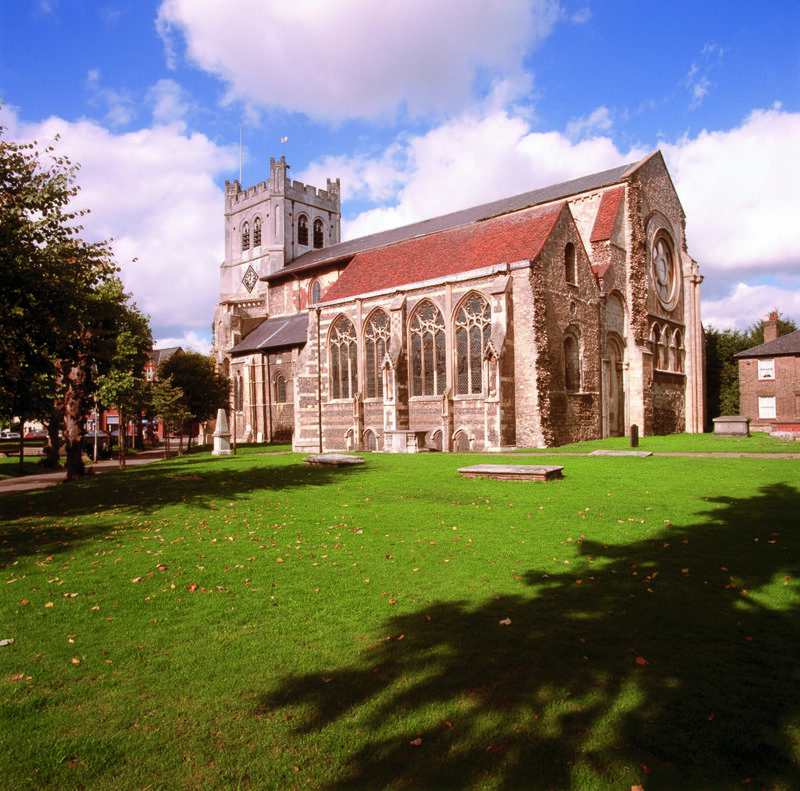 In 1066, Harold rested in Waltham and prayed at the church before continuing to Hastings. After the Conquest at Hastings, William I refused Harold’s mother’s request to retrieve the body of her son. Edith Swan Neck took it from the battlefield, and buried it on the Sussex beach. Later, Harold’s family recovered the body and took it to the family seat of Waltham. The parish church, what remains of part of the abbey, survived the dissolution of the monasteries. However, when Henry VIII demolished the great tower, the parishioners bought the bells. But, later they had to sell them to pay for the building of a bell tower. Waltham Abbey gunpowder mills were at the forefront of developments in the industry. From the mid-C16th, water power began to replace horse power. In the C19th, the Royal Gunpowder Factory at Waltham Abbey became the only government-owned gunpowder manufacturing site in the country. Today, the site is of national and international importance. Copped Hall is a Georgian mansion which belongs to a trust. The mansion is currently undergoing restoration and is not open for visitors. Near to Waltham is Queen Elizabeth’s hunting lodge. Henry VIII built the Great Stand in 1543, which Elizabeth I later renovated. The stand overlooked the medieval royal hunting forest. It has a large staircase which enabled courtiers to carry Henry VIII upstairs. Queen Elizabeth rode her horse up the stairs! There is an adjacent visitor centre with information on the history of the forest and its people.